*Articles on this blog are not to be construed as legal advice, this warning is very predominantly displayed at the bottom of this page, but in this instance it is even more important. On the off chance that this article is ever copied without permission, please note that the law discussed is largely unsettled, the FAA is rewriting a requirement that the judiciary has struck down. As always, if there is ANY question that drone/UAS use may violate FAA law, please consult with an attorney qualified in UAS regulations; if there is ANY question drone/UAS use may violate state law, consult with a qualified criminal defense attorney. There is quite a bit of confusion on how to navigate Federal Aviation Administration (FAA) drone (referred to as Unmanned Aerial System) regulations. The FAA divides Small Unmanned Aerial System (sUAS) flights into three categories: Public, Private, and Hobby flights. The majority of UAS pilots are going to fall into the hobby flight category, but exactly what that entails is not always entirely clear. The FAA asks the question: “Do I need to register my Unmanned Aircraft?” and volunteers the answer “You need to register your aircraft if it weighs between 0.55 lbs. (250 grams) and up to 55 lbs. (25 kg) and you are not flying under the Special Rule for Model Aircraft.” For the average pilot, it is very difficult to discern whether a flight qualifies under the model aircraft rule. The sUAS community has been buzzing about the May decision in Taylor v, Huerta. The media has weighed in with articles such as “Federal Appeals Court Voids FAA Registration Rule For Model Aircraft,”“A federal appeals court shoots down the FAA’s drone registry requirement,” and “Judge Tells FAA Rep: ‘You’re Just Making Stuff Up’” It is difficult for the average hobby drone flyer to evaluate what the legal requirements are, the FAA is still stating the requirement of registration is in effect for some users, but is it?. And perhaps even more crucial, does the Taylor decision affect any other regulations? As is nearly always the case with government regulations, the answers are of course maybe. For the average hobby user, this may appear to be a huge and comprehensive victory in favor of nonregistration. Readers should still be cautious about operating an sUAS without registering first; the decision only applies to those flights which qualify as “model aircraft.” There are a multitude of ways an individual pilot, or a single flight could fail to qualify under the model aircraft exemption: deriving any financial benefit, working for any government purpose, failing to adhere to a national set of community based guidelines, failing to notify an airport that is within 5 miles, accidentally flying near manned aircraft or flying in any unsafe manner. The Taylor court brings up the last requirement found in statutory law, even if an individual flies an sUAS as a model aircraft, performing any action that could endanger safety allows the FAA to regulate that flight. With all of these ways to fail to qualify as a model aircraft, the question of whether hobby flyers should register becomes harder to answer, and the prudent user should still comply with the $5 registration to be safe. The registration requirement aside, the Taylor decision raises questions of how the FAA will regulate sUAS use moving forward. The FAA for years has had a philosophy of “education rather than enforcement” when it comes to sUAS policy. This has not traditionally led to the complete exclusion of enforcement over hobby flyers, there have been some enforcement actions against hobby flyers in the past who engage in reckless actions. The FAA has taken a much harsher approach towards enforcement actions when the pilot is even suspected of deriving economic benefit from the flight (these flights fit concretely within those that FAA is legally supposed to regulate, and as such they more fervently go after those individuals). Following the Taylor decision, the FAA may be worried it’s enforcement authority is beginning to wane. Speaking to Denver Police Department Commander Tony Lopez Sr., the department contacted the FAA regarding an individual who was allegedly caught flying over Coors Field during a Rockies baseball game the week following the Taylor decision; the FAA did not pursue any enforcement actions. FAA representatives who were contacted reiterated the “education rather than enforcement” policy and refused to engage in any enforcement, even though the sUAS pilot admitted it was for a business purpose and even though it was within a temporary flight restriction zone (which the FAA has stated in the past cannot be violated even by model aircraft). This incident is of course anecdotal, and it appears that a man who violated a temporary flight restriction over a baseball game in San Diego a few days after Taylor might be under investigation by the FAA for striking a attendee. The Taylor decision should serve to clarify the reach of the FAA, but it appears the real-world effect has instead been to complicate the FAA’s role in drone regulations, as even the agency itself may be unable to discern where it’s power beings and ends. As was promised at the beginning of this article, there are no clear-cut answers. The best advice for sUAS pilots is to fly safely, follow all the requirements to be recognized as a model aircraft, but the prudent individual would still go ahead and voluntarily register first. The FAA’s role is ultimately to keep the sky safe, and even though the current scope of that role is in question, drone owners should do everything to aid that goal. Refusing to register following Taylor probably won’t land anyone in trouble, if they’re following all other rules and flying safely; but for $5 dollars any new drone pilot can register themselves, and potentially save a lot of headaches. The battle over registration is likely over, but the fight to decide where FAA control ends and state and local power begins is just beginning. In the meantime, the best piece of advice is to be as prudent as possible and listen to the FAA, if you comply with all the rules the sky will be safer; just like the FAA, aim for education rather than enforcement. (Note: We have been contacted by readers lately asking for clarification on the registration requirement. The registration requirement is now MANDATORY for all UAS operators, both hobby and commercial. This article will provide background for how the registration requirement was struck down originally. On December 12, 2017, the National Defense Authorization Act for Fiscal Year 2018 became law*, it reinstated the drone/UAS registration requirement that was struck down in Taylor. 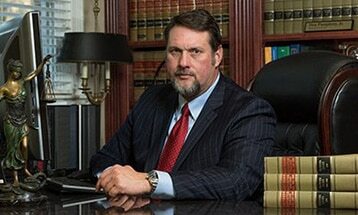 Pumphrey Law has always recommended registration, believing it is better safe than sorry. Now hobbyists can be directly fined by the FAA for failing to register. The registration can be found here. More information regarding this change can be found here. FAA, Getting Started, https://www.faa.gov/uas/getting_started/ (last visited July 13, 2017) (outlining the FAA designations of “Fly for Fun,” hobby flights, and; “Fly for Work,” Private/Public flights) [http://www.webcitation.org/6rvvkGge9]; see FAA, Beyond the Basics, https://www.faa.gov/uas/beyond_the_basics/ (last visited July 13, 2017) (explaining in the “Government Entities” section the specific rules for government users, and how they differ from commercial purposes; while the FAA chooses to designate the “fun” and “work” categories, the regulations are more effectively explained by separating these “work” flights based on purpose) [http://www.webcitation.org/6rvvwoZ7M] . FAA, Welcome to the Small Unmanned Aircraft System (sUAS) Registration Service, https://registermyuas.faa.gov/ (last visited July 13, 2017) [http://www.webcitation.org/6rvw1yxpD] . See Steve Hogan, The Taylor Case, Drone Law Today (June 5, 2017), https://dronelawtoday.com/2017/06/05/the-taylor-case/; Taylor v. Huerta, 856 F.3d 1089 (D.C. Cir. 2017). See John Goglia, Federal Appeals Court Voids FAA Registration Rule For Model Aircraft, Forbes (May 19, 2017, 11:16 AM), https://www.forbes.com/sites/johngoglia/2017/05/19/federal-appeals-court-voids-faa-registration-rule-for-model-aircraft/#6e03f39c4238. See Brian Heater, A Federal Appeals Court Shoots Down the FAA’s drone registry requirement, Tech Crunch (May 19, 2017), https://techcrunch.com/2017/05/19/a-federal-appeals-court-shoots-down-the-faas-drone-registry-requirement/. See Miriam McNabb, Judge Tells FAA Rep: “You’re Just Making Stuff Up.”, Drone Life (Mar. 20, 2017), http://dronelife.com/2017/03/20/taylor-vs-huerta-faa-comes-off-badly-oral-arguments/ (reporting on the oral arguments made by the FAA in response to the registration requirement challenge). Registration and Marking Requirements for Small Unmanned Aircraft, 80 Fed. Reg. 78,594, 78,595 (Dec. 16, 2015). FAA Modernization and Reform Act of 2012 § 336(a), 49 U.S.C.A. § 40101(a) (2012). Id. at § 336(c)(1)-(3). See 14 C.F.R. § 107.31 (2016) (requiring that all sUASs be flown within line of sight or subject to FAA sanctions; a sUAS is must be flown line of sight to conform with FAA rules or to be exempt from them as a model aircraft). FAA Modernization and Reform Act of 2012 § 336(a)(1)-(2), (4)-(5), 49 U.S.C.A. § 40101(a)(1)-(2), (4)-(5) (2012). Johnathan Rupprecht, Complete Guide to Taylor v. FAA (Drone Registration Lawsuit), Rupprect Law – Drone Law Blog, https://jrupprechtlaw.com/drone-registration-lawsuit. Id. ; Taylor v. Huerta, 856 F.3d 1089, 1094 n. 2 (D.C. Cir. 2017). McNabb, supra note 6 (citing Oral Argument, Taylor, 856 F.3d 1089 (No. 15-1495), https://www.cadc.uscourts.gov/recordings/recordings2017.nsf/469F0B57EDA3C53A852580E300577ED7/$file/15-1495.mp3). Taylor, 856 F.3d at 1093. Rupprecht, supra note 11; Taylor, 856 F.3d at 1094 n. 2 (reminding the public that the FAA’s authority is expressly preserved to “pursue enforcement action against persons operating model aircraft who endanger the safety fo the national airspace system”). Taylor, 856 F.3d at 1094 n. 2. Rupprecht, supra note 11; Rob Mark, DOT’s Office of Inspector General Critical of FAA’s Drone Oversight, Flying (Dec. 15, 2016), http://www.flyingmag.com/dots-office-inspector-general-critical-faas-drone-oversight. Jason Koebler, The FAA Gave Us a List of Every Drone Pilot Who Has Ever Been Fined, Motherboard (June 1, 2016, 2:20 PM), https://motherboard.vice.com/en_us/article/xyga8a/faa-drone-fines (outlining the hobbyist fines, ranging from $400 to $1.9 million; but the punishments “appear to be mostly arbitrary” and “the cases are almost entirely concentrated on the East Coast”). Melissa Quinn, He Flew a Drone to Take Photos for a Friend. Now He’s Facing $55k in Government Fines., The Daily Signal (June 12, 2016), http://dailysignal.com/2016/06/12/he-flew-a-drone-to-take-photos-for-a-friend-now-hes-facing-55k-in-government-fines/. Federal Aviation Administration, Interpretation of the Special Rule for Model Aircraft (June 18, 2014), https://www.federalregister.gov/documents/2014/06/25/2014-14948/interpretation-of-the-special-rule-for-model-aircraft. Jason Sloss, Pilot Could Face Fine for Drone Crashes at Padres Game, Fox 5 San Diego (May 22, 2017, 8:30 PM), http://fox5sandiego.com/2017/05/22/pilot-could-face-fine-for-drone-crashes-at-padres-game/.